Carcassonne is said to be the best preserved and restored Medieval town in France. Originally, constructed in the 13th century, the city fell in disrepair until the 19th century when it was completely restored. The city has two miles of fortified walls and 56 watchtowers. The area was already a thriving town in the 9th century BC and the inhabitants moved to the current location in 600 BC. The large exterior wall was constructed in 1230 AD. 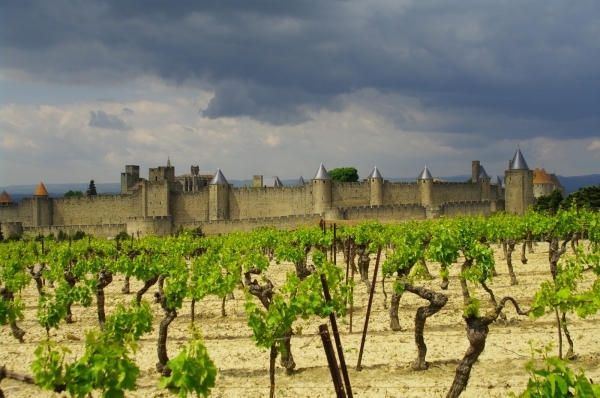 The Languedoc region has an interesting history. During the 12th century a religious group, the Cathars, lived in the area and were known for their productivity and religious tolerance of Jews and Catholics – everyone lived in harmony. The Cathars lived very austere lives, refusing earthly pleasure. The Catholic Lords in the area eventually saw the Cathars as a threat to their power and as heretics, and over a few decades the Cathars were massacred and burned at the stake. In Beziers, 5,000-7,000 Cathars were burned to death in their Cathedral. This persecution eventually wiped out the Cathars and their religious beliefs. The city of Carcassonne stands as a monument to this dark moment in history. 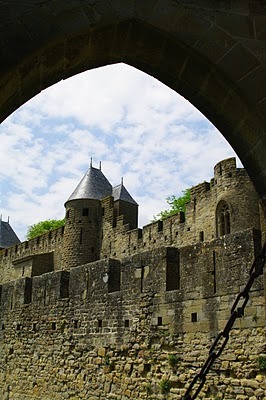 See the remarkable fortified city of Carcassonne.